At first the idea of the musical union of trumpeter Scott Tinkler and the Jazzgroove Mothership Orchestra might appear a little incongruous. One might wonder how Tinkler, whose music sits on the more ‘free’ side of the improvised music spectrum, might work within an ensemble that operates, of necessity, within defined, somewhat inflexible structures. The error here is to assume that Tinkler’s music is in any way unstructured or uncontrolled, or that the Jazzgroove Mothership Orchestra is clinical and lacking in spirit. 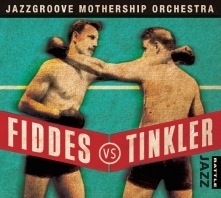 Despite the implications of conflict suggested by the album’s title, Fiddes vs Tinkler is a very successful collaboration. The two forces work well with and against each other: Tinkler’s playing imbues the album with a sense of playfulness and adventure, while the structures within the ensemble writing frame Tinkler’s distinctive musical language in fresh and interesting perspectives. It is difficult not to swoon about Tinkler, so impressive is his playing on this album. But impressive is an inept word here; it tells only part of the story. Sure, his ceaseless virtuosity is thrilling, but it is the scope of his expression that leaves the most lasting impression. From a foundation of sound that is rich, open, warm and generous, he draws upon a vast array of timbral variations and manipulations. There is a beguiling element of humility at play here, too – despite his command of the instrument, he is not too proud to let the sound wobble or break up, should the pursuit of an idea push him to the limit of control. Interestingly, Tinkler’s influences, the most notable of which is Kenny Wheeler, are more clear here than on other recordings. 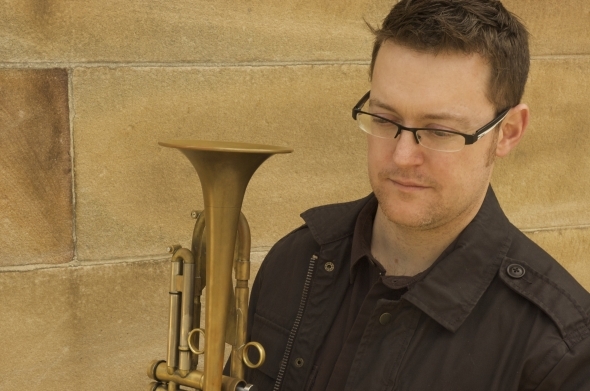 Though he performs regularly with the Jazzgroove Mothership Orchestra, Andy Fiddes has stepped out of the trumpet section and into the roles of composer, arranger and conductor for this album. His compositions generally operate within modal frameworks, and his treatment of them is largely textural (those looking for swinging, ‘changes’ driven jazz, look elsewhere). It is in the creation of these textures that Fiddes excels. Through intelligent use of mutes and woodwinds other than the saxophone, he weaves a broad palette of textures, many of which harken, inevitably, to the pioneer of such sounds, Gil Evans. In a welcome diversion from the blockish homophony that is such an overused facet of so much big band music, Fiddes’ writing is playfully polyphonic. He also has a wonderful sense of writing for low brass and winds, which is a great advantage when writing for big band given that the medium is inherently dense in the middle-low register. 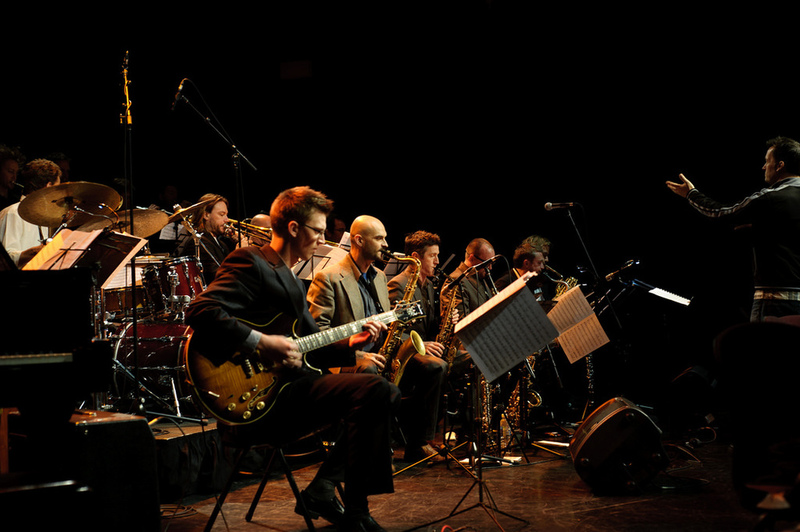 Now in its thirteenth year, The Jazzgroove Mothership Orchestra has established itself as one of the most prolific contemporary big bands in Australia, and it is projects like this one that give the ensemble real ‘street-cred’. There are moments of beautiful ensemble playing on this album, but the ‘best section on ground’ award must surely go to the trombones: their warmth of sound, control, and close to flawless intonation impress throughout. 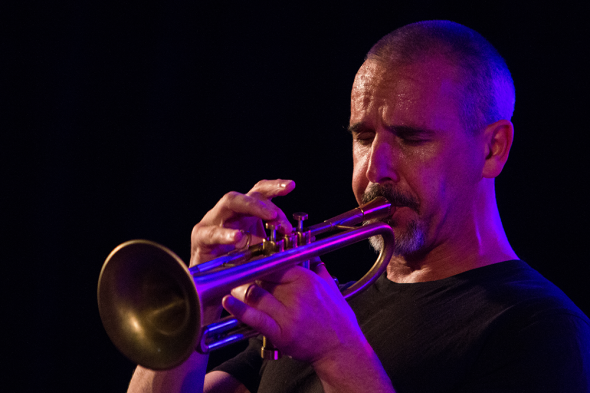 At times the balance between and within the instrument sections is a little distorted (the lead trumpet is often lost, for instance), but this may be a recording issue, not a problem with the performance. To close, I cannot resist buying into the analogy posed by this album’s playful title: In every stoush there must be a winner, and the winner here is… music!